If you’re headed south to Maxwell AFB, then you’d better get ready to have the best fried chicken, shrimp and grits, ribs, and sweet tea you’ve ever had. But the unforgettable food isn’t all the South is known for. Montgomery is incredibly rich in history, so if you’re a history buff or you’re married to one, you’ll be thrilled with the amount of sight-seeing there is to do here. Not to mention all the farmers’ markets, festivals, concerts, and community events to make you feel right at home. And since you’re sure to enjoy the rest of what the southern duty station has to offer, why not fully embrace your new duty station and find a home that matches this vibrant area of the country? 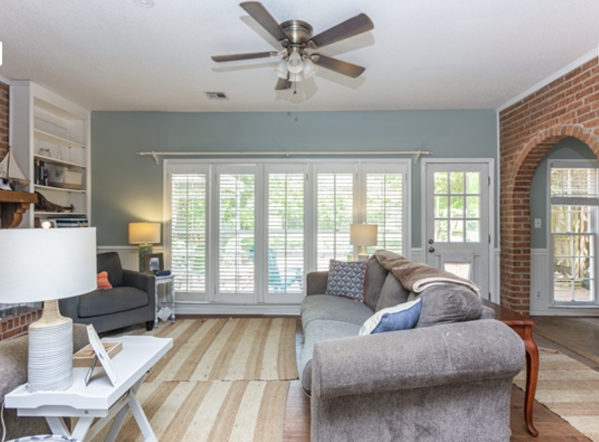 Start your house hunt with this charming three bedroom, two-and-a-half bathroom Georgian-styled home near Maxwell AFB. Don't feel bad if you get emotionally attached to this property. Its brick walkway, mature landscape, and undeniable curb appeal might have you saying I do, but be sure to step inside where you’ll find more features to love than you can count! 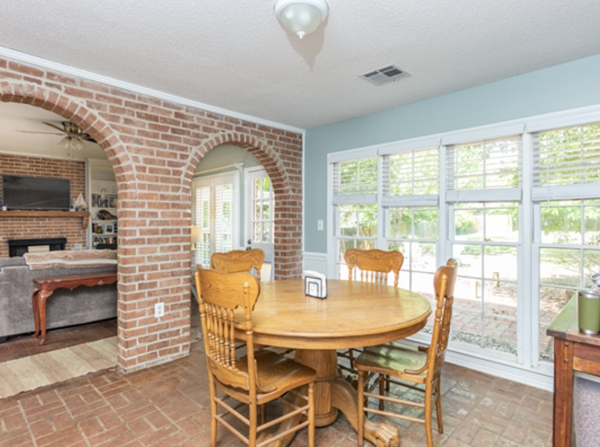 Downstairs, you’ll find the great room with a wood-burning fireplace separated from the formal dining room by a beautiful brick archway. Also downstairs is the study and kitchen, complete with white cabinets and hardwood floors. The master suite and two additional bedrooms are located upstairs. Out back is an oversized, fenced-in yard where your children can play while you relax with your glass of wine under the pergola. There’s no denying how charming this property is. 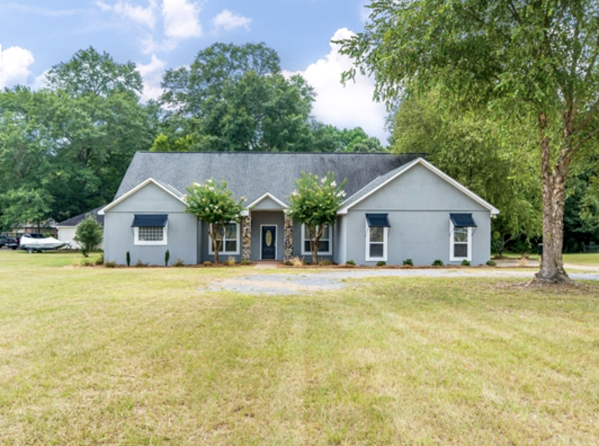 And with upgrades like new appliances, new carpet, new blinds, new paint, new hardwood, and an A/C unit that’s less than two years old, this property is not only beautiful, it’s practical. Not to mention, the current owner is planning to install a new roof. 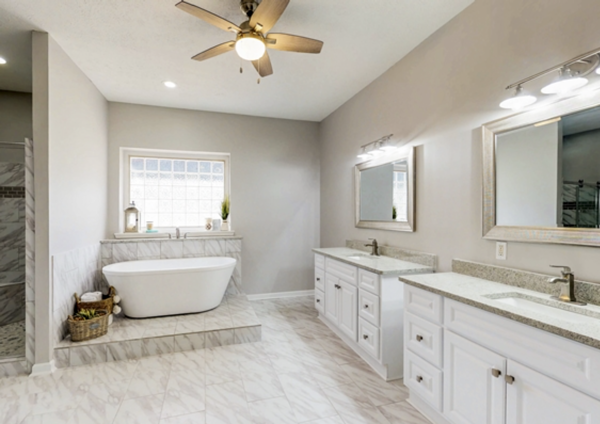 Feel right at home in this spacious four bedroom, two-and-a-half bathroom home. Grab your glass of tea and set up your swing and put your feet up to relax. There’s so much to love about this beautiful property but let’s start with the layout. 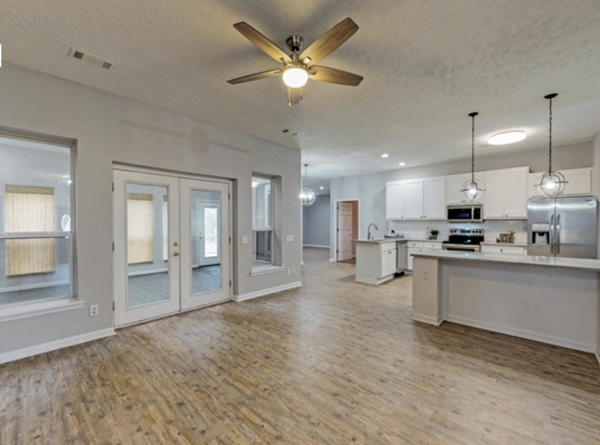 Downstairs you’ll find the main living area (complete with a fireplace and large bookshelf), kitchen, and wait for it, the master suite (where you’re sure to appreciate privacy from the three additional bedrooms located upstairs). 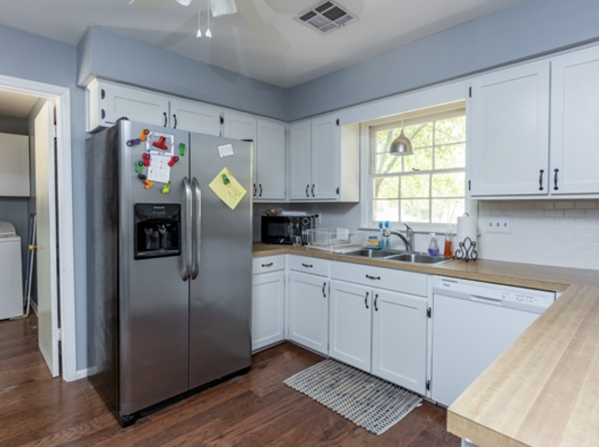 The kitchen features white cabinets, beautiful countertops, two ovens, stainless steel appliances, and a breakfast nook. The master suite is the total oasis with its walk-in closet and private bathroom with a dual vanity, garden tub, and walk-in shower. Upstairs you’ll find the additional bedrooms, as well as a large loft perfect as a playroom for the kids, an office, or craft room. 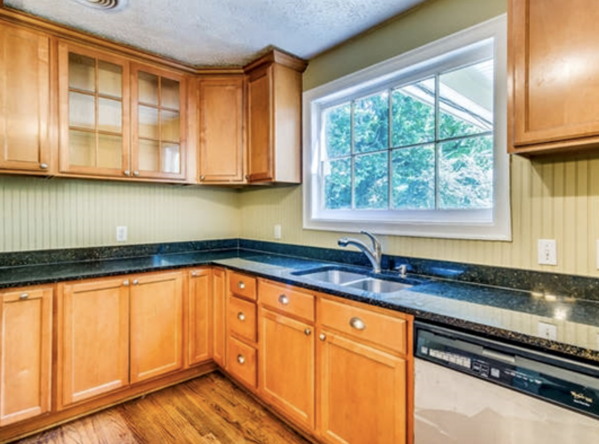 Perhaps the most outstanding feature in this property is the large laundry room. 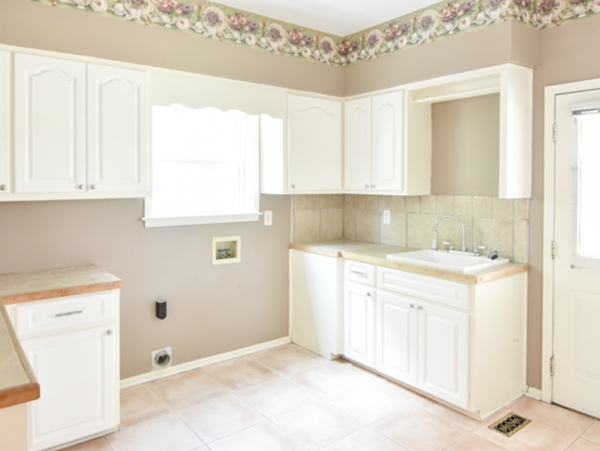 How often do you find a house with a laundry room this ideal? 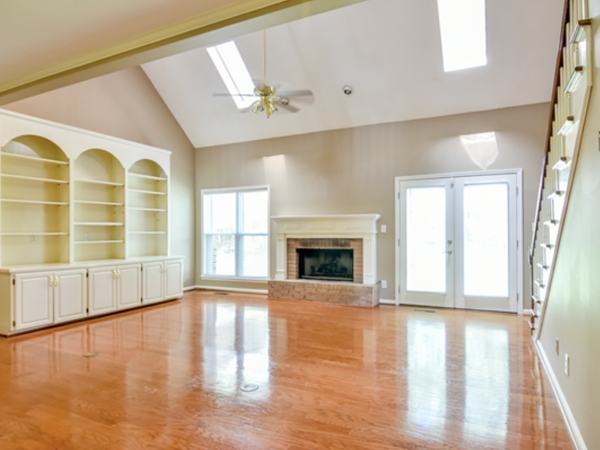 With plenty of space to move around and ample storage, you might just find yourself enjoying a once-dreaded chore. But let’s not forget the backyard. 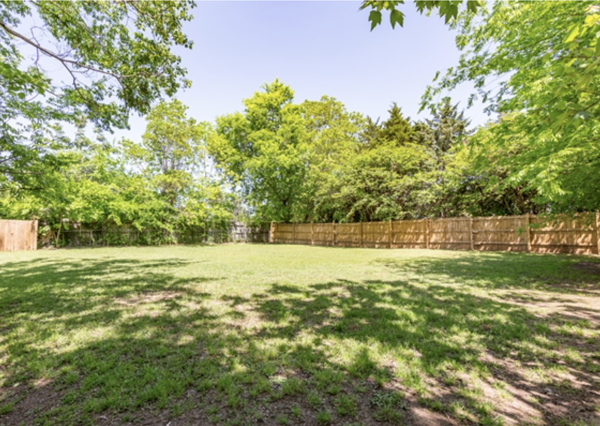 Step out back and you’ll find a fenced-in yard, additional storage, and a sprinkler system. 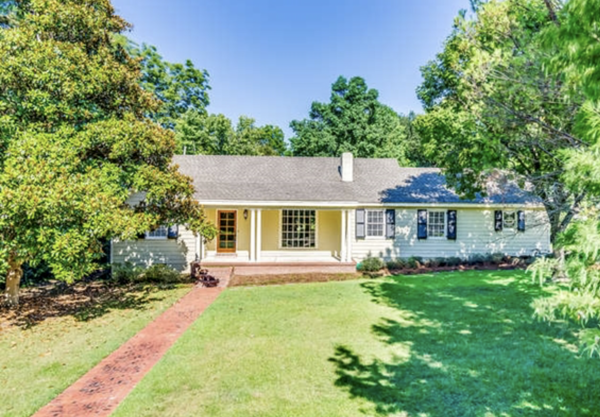 Continue your Maxwell AFB house hunt with this charming four bedroom, three bathroom home located in Historic Old Cloverdale/Edgewood Community (conveniently located near local shops and restaurants). This property’s charm starts with its exterior. 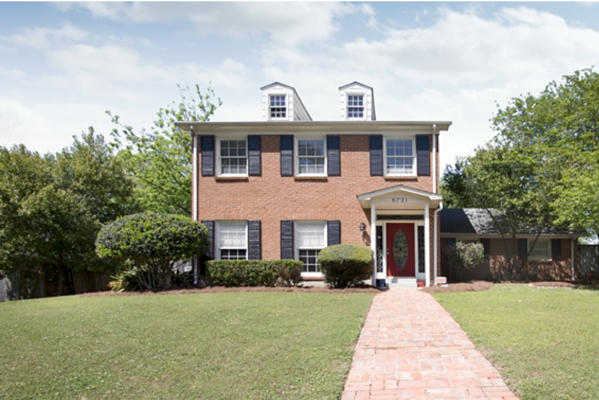 The mature landscaping, brick walkway, and cozy porch exude curb appeal. And the details are simply perfect. 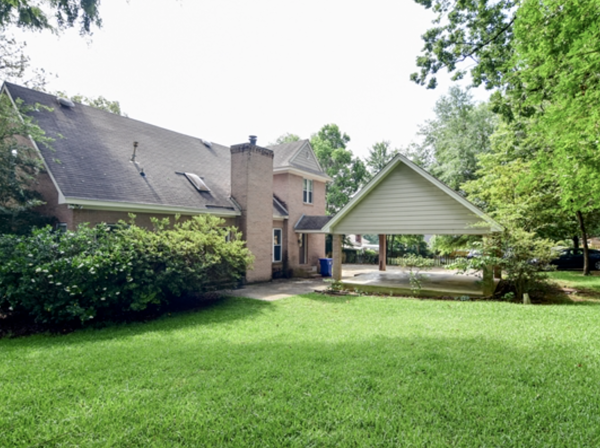 With hardwood floors throughout the home, a renovated kitchen, and french doors leading from the dining room to the backyard, you won’t find much that’s not to love here. 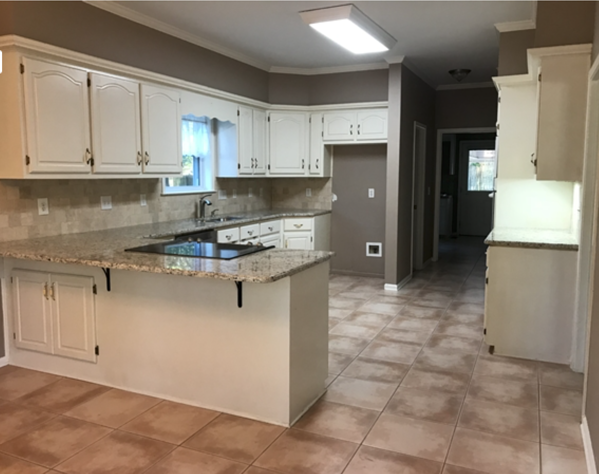 The kitchen is complete with new cabinets, granite counter tops, undermount sink with disposal, and stainless steel appliances. 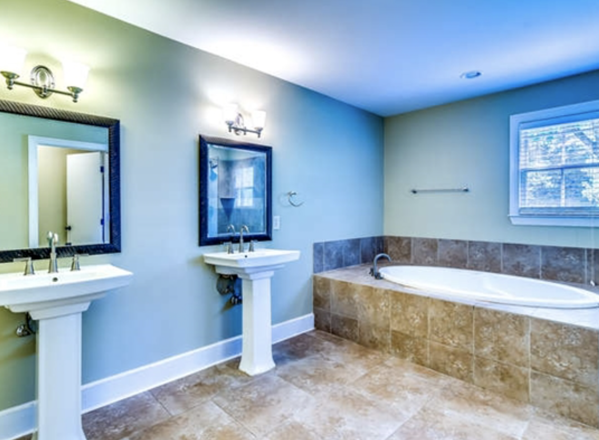 The master suite features separate sinks, garden tub, and walk-in shower. But what makes this home truly special is its outdoor living space. 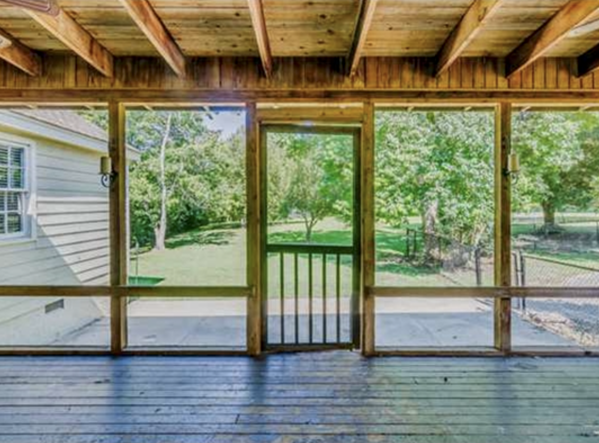 Out back you’ll find a large screened-in porch with cable accessibility. Not to mention, a huge fenced-in backyard with additional storage. 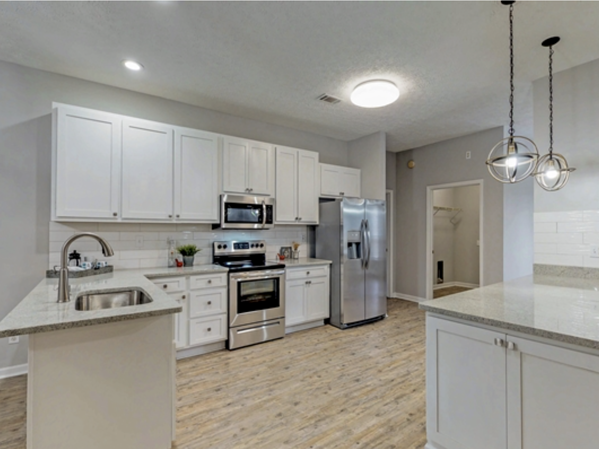 If you’re looking for an open concept floor plan then look no further than this four bedroom, two bathroom home near Maxwell AFB. 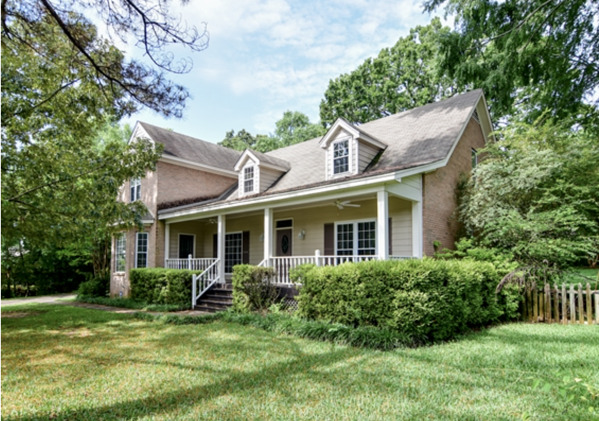 Located on 1.5 acres, you’ll be sure to enjoy a little space to yourself. But it isn’t only privacy that you’ll fall in love with at this property, it’s the newly remodeled interior. With a gorgeous bathroom featuring a stand-alone soaking tub, walk-in shower, and huge double vanities, you might find yourself rarely wanting to leave the master suite. The kitchen is also a place of luxury in this home. Its white cabinets, stainless steel appliances, beautiful counter tops, updated lighting, and plenty of storage will make cooking a joy. 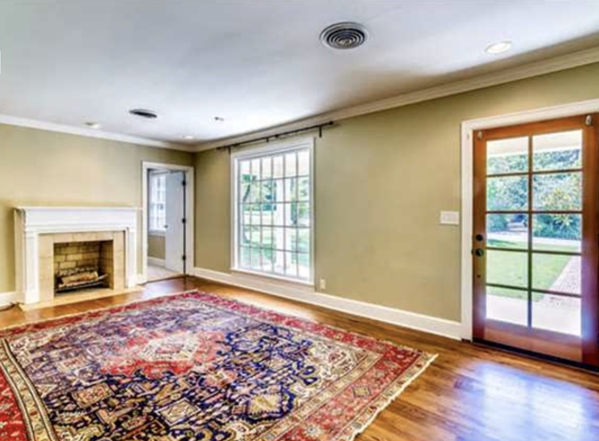 The property is wheelchair accessible and each doorway measures 36 inches wide! Bonus: This home includes one year home warranty and is eligible for a $0 down payment USDA loan. 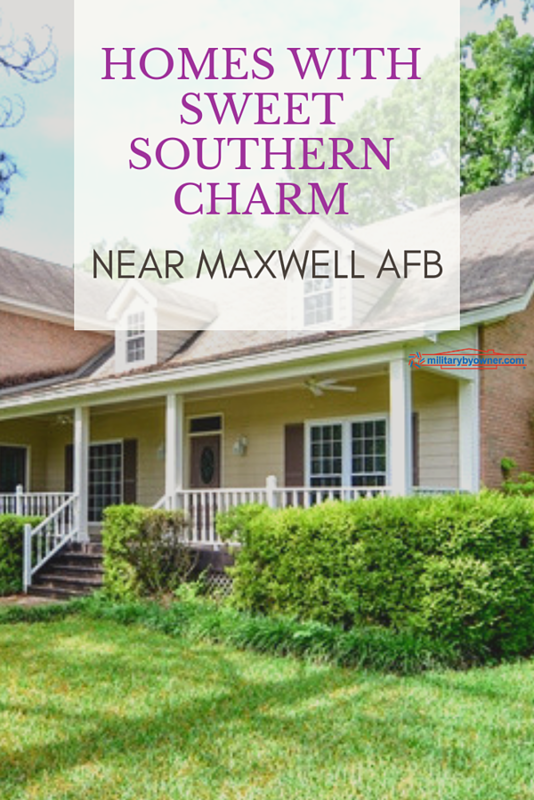 If your Maxwell AFB dream home isn’t listed above, click below to find a list of all available listings near Maxwell.